Allen Millyard is a truly brilliant engineer, but more than that he dreams up some incredible and improbable motorcycles. 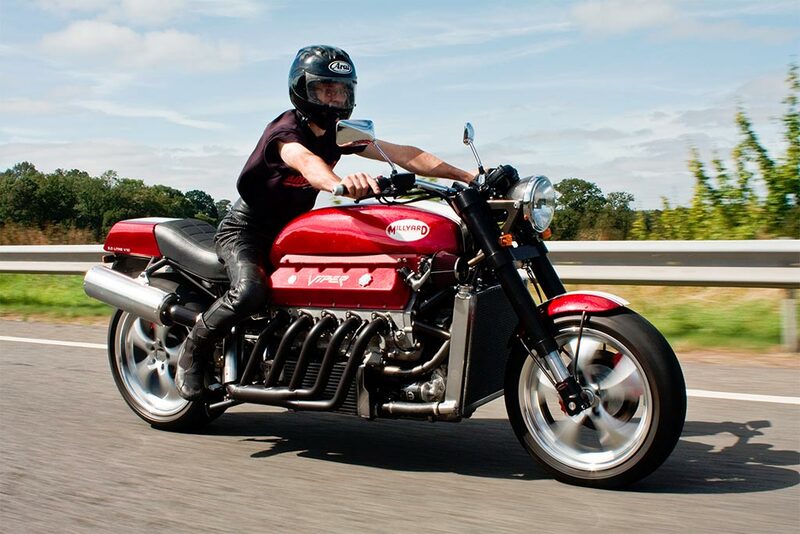 How about a V10 8000cc Dodge Viper engined motorcycle that actually works and is not only rideable but is street legal and ridden almost every day? How about a 5 cylinder Kawasaki that is street legal and ridden almost every day? 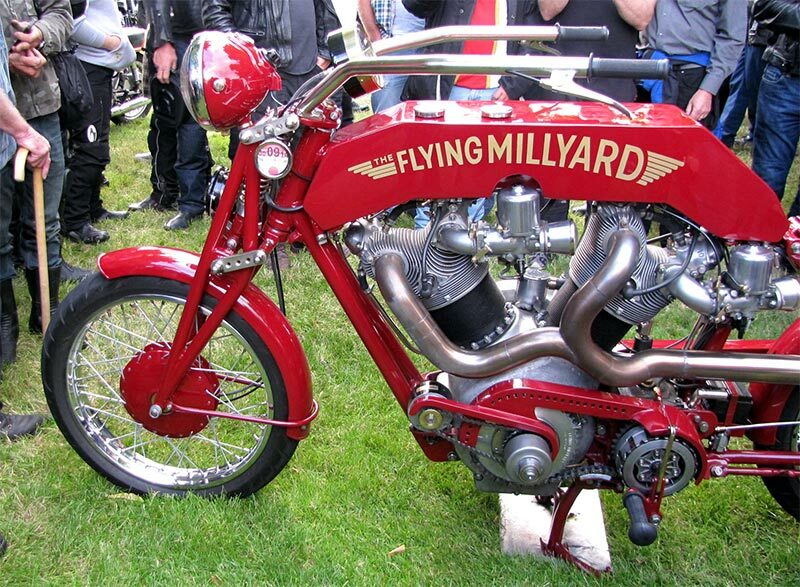 How about the worlds largest V twin at 5000cc using parts from a radial aero engine that is street legal and you guessed it, is used almost daily? 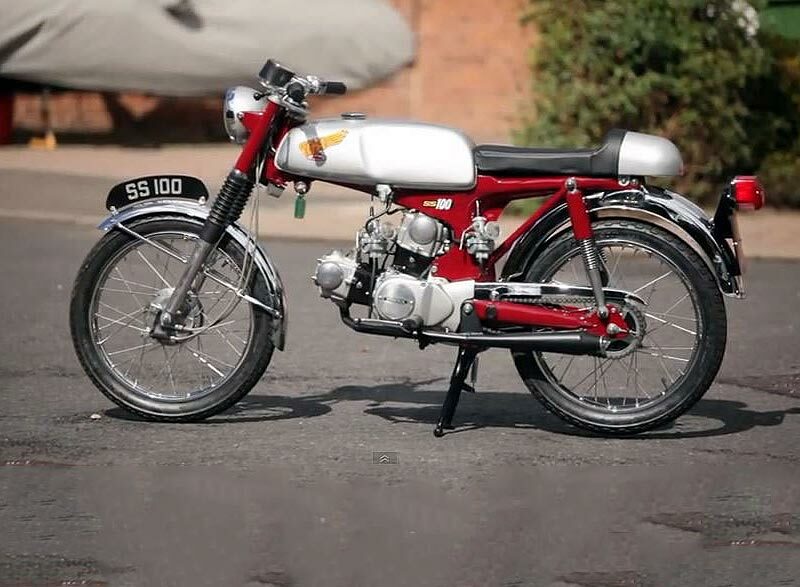 How about the worlds smallest V twin at less than 100cc? Allen is bringing at least 4 of his amazing creations to Brackley’s now famous High Street track and they will be paraded during the day. For the rest of the day the bikes will be on display in the town Piazza where you can not only study these beautifully engineered creations in detail, you can also talk to Allen himself about where his ideas come from and how he goes about building them. Whatever Allen and his team bring to The Festival will surely have you talking for many a long day.